OBJ, Abdusalam and IBB hold private meeting in Niger State – Royal Times of Nigeria. 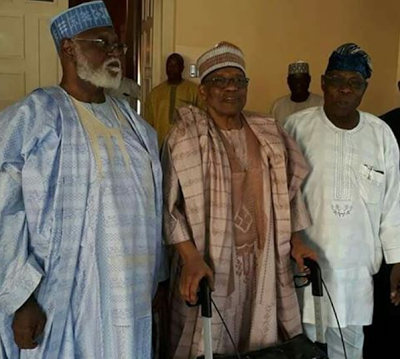 Three former Nigerian leaders, Chief Olusegun Obasanjo, General Ibrahim Babangida (rtd) and General Abdulsalami Abubakar (rtd) yesterday met behind closed doors in Minna, Niger State. Details of the meeting is still not known.